Welcome back to another Humble Brag! If you’re new to us, or to link parties, let me give you the skinny. A link party is a place where we highlight some really cool projects going on out there in blog-land. Also, if you are a blogger, you can add a link to a current project to show off all your hard work. Link parties are all about the love – encouraging one another and getting the word out about your awesomeness. What’s special about The Humble Brag link party, you ask? In addition to having the coolest readers and link party goers, we also give away free ad space to one link party goer every week. I also visit every link, hope to comment on them all, and pin and/or FB share all the featured projects. No matter who you are, we are humbled you choose to hang out with us and appreciate getting to know you, so thanks! Seriously, there were too many awesome projects this week to feature them all, but here is a sampling! I don’t have boys, but Danielle from 2 Little Superheroes *almost* makes me want a boy. What a creative way to display legos! What is better than graham crackers? Well my first answer would be graham crackers with vanilla icing on them. But my second answer would be homemade graham crackers. So yummy from The First Year Blog! 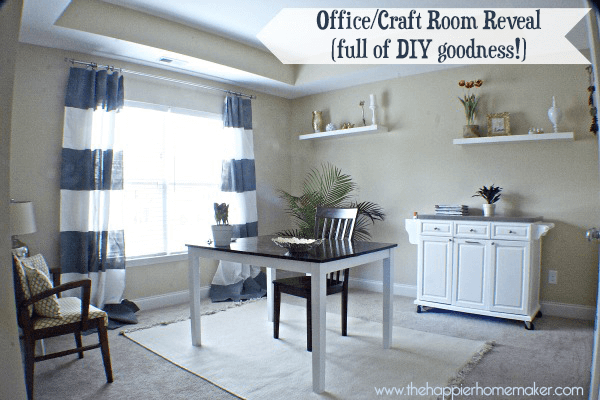 As you may know, I am in the middle of a craft desk makeover and I was so inspired by this Craft Room Reveal from Melissa at The Happier Homemaker! Check out those curtains – swoon! 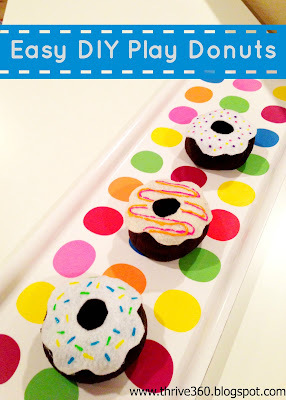 These play donuts from Thrive 360 are totally going on my gifts ideas for little kid parties! What kid doesn’t love donuts and play food?!? 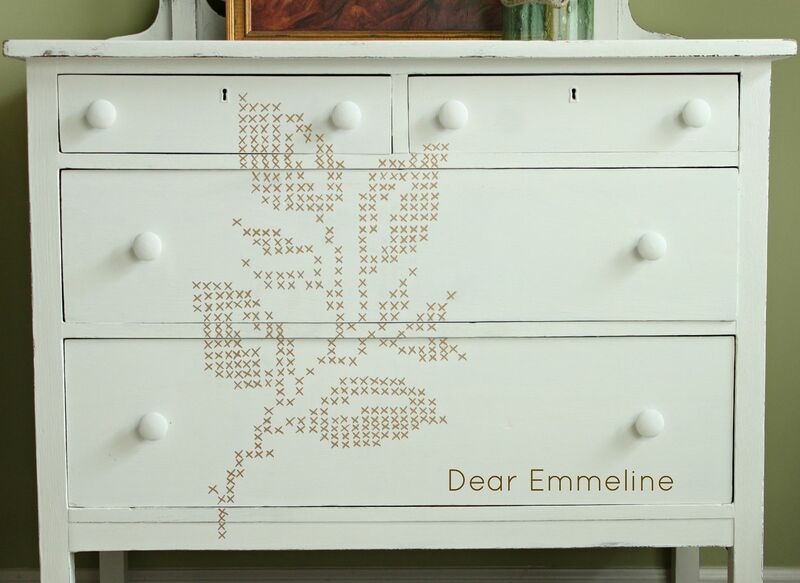 I may be a little biased since Jessica from Dear Emmeline is a fellow Baltimore Blogger, but this cross-stitch dresser is the most creative thing I have seen in a long time. LOVE. IT! 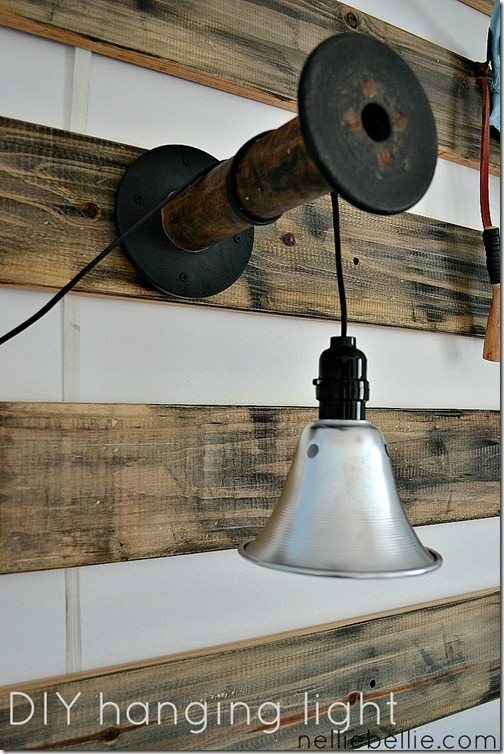 How cool is this DIY industrial lighting from Janel at NellieBellie??? This would look so cool in Ethan’s workshop! 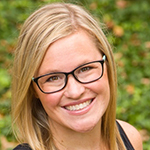 If you didn’t already know, every week we feature one lucky party participant in our sidebar as the Weekly Brag. Think of it as our way of saying thanks for linking up, and we hope you come back every Friday. To play fair, we always use random.org to select the winner, and this week it was #74 – Loretta from A Finn In The Kitchen! 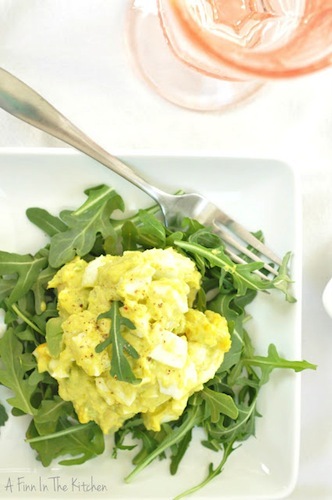 Loretta linked up her ah-mah-zing Avocado Egg Salad. You gotta check it out. The Humble Brag is all about encouraging one another in our pursuits (and sometimes even fails). We’re excited to see what you have been up to in your crafting/DIY world. We also welcome recipes and other projects. I will be visiting each and every link over the coming week, so bring it on! Thanks for the party. I’ll stick around til others show up! Thanks so much for featuring our pipe shelf entertainment center Jocie 🙂 It made my day – and they husband is very happy! 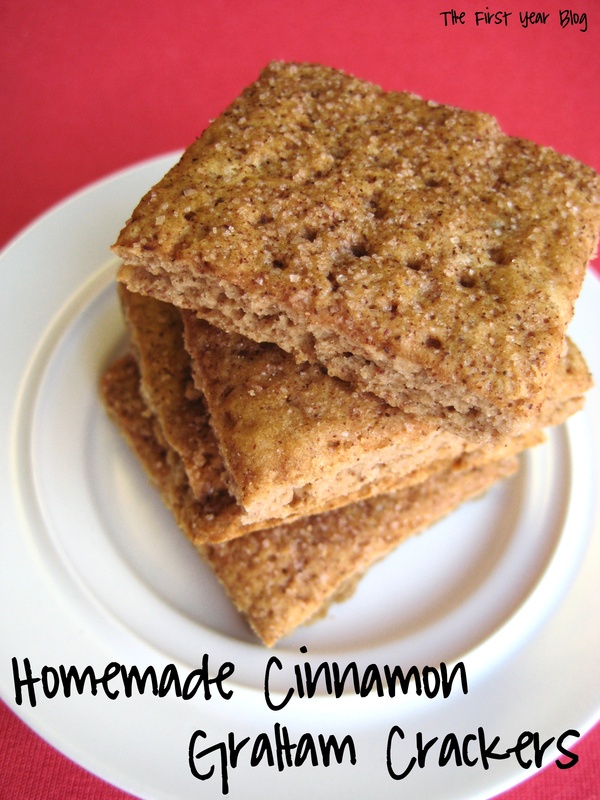 Ladies, I am so so excited and honored that my homemade graham cracker recipe is featured this week!! THANK YOU!! Thanks to the hostesses with the mostesses, for hosting. What a treat to see my DIY Play Donuts mentioned as a bragworthy project. Absolutely made my day…smiling :-). Thank you for another party and I wish you a great weekend ! Thanks for the party!! Have a fabulous weekend!! Thanks for the humble brag!!! And how cool is that lego art?? very cool! All of these things are wonderful. I need to find my time and mojo. So much inspiration. Great features!Thanks so much for hosting! Thank you so much for hosting ladies, happy weekend! Cool features! Linking up for the first time…thanks for the fabulous party!!! Thanks for hosting, Jocie. My, those are great features, especially loving those yummy looking graham crackers! Looking NICE up there– way to work it girls!! Wow, so many great ideas and even more yummy recipes! I need to set aside a day to bake with our grandson. He’s always asking me or his Dad to bake when we’re in the middle of something else or he’s about ready to leave. Cool use for a frame! I still love Legos at the grand age of 28. But then again I never really have or plan on growing up, so I guess that makes sense. Thanks for sharing! Hi Amy! ! Tx for hosting this fab party! I hope you’ll enjoy my simple sewing new series, today I’m showing how to sew a neckwarmer. Thank you so much for hosting every week! Have a GREAT day. Oh, those homemade graham crackers look amazing. Wonder how they taste made into s’mores? That x-stitch dresser is so cute. I like that the design doesn’t overwhelm- but is subtle. Thanks a lot for hosting. Enjoy the rest of your weekend.